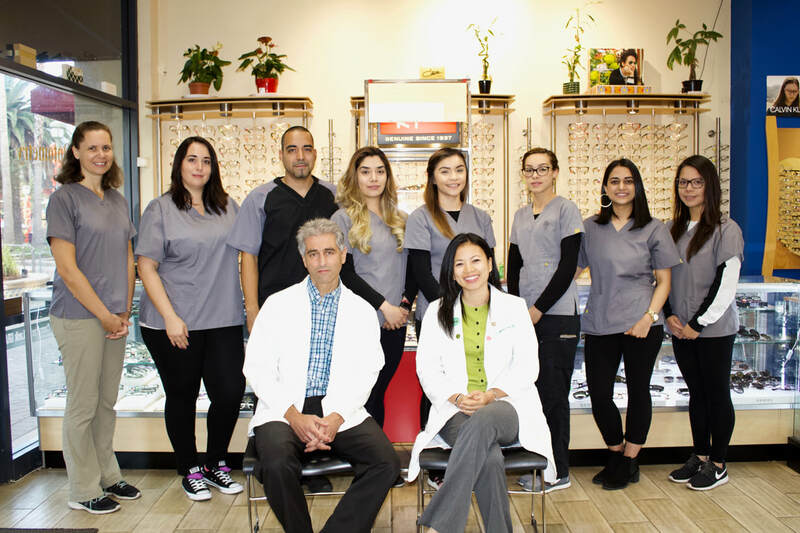 We are pleased to welcome you to Fruitvale Optometry. We are proud to be your neighborhood eye doctors and are committed to working with you to protect the health of your eyes and provide you with the best eyewear options available at a price you can afford. We look forward to the opportunity of serving your family's eyecare needs. We are conveniently located in the plaza of the Fruitvale Village next to the Fruitvale Bart station off of I-880 and would be delighted to have you as a patient. You can schedule your next appointment by clicking the button below or calling our office at 510-533-6567. Bienvenidos a Fruitvale Optometry. Estamos disponibles a trabajar con Ud. para proteger la salud de sus ojos y darle las mejores opciones que existen para corregir su vista con un precio economico. Estamos en el nuevo Fruitvale Village muy cerca a la estacion de BART en Fruitvale y a I-880. Esperamos la oportunidad de servirle a Ud y a su familia. Ud. puede oprimir el boton abajo para hacer su proxima cita o llamarnos at 510-533-6567. Best Option: Take BART or one of 12 bus lines that stop at the Fruitvale Village. The Fruitvale Development Corporation is closing large sections of the parking lots, so they are often full. Open lot on East 12th St and 35th Ave: 90 minutes free parking before 5pm. Requires pre-payment of $10, validation in our office, and redemption before 5 PM which is when lot attendant leaves to issue a refund. Free on weekends. BART parking: Free on weekends and after 3pm every day. Fruitvale Village covered parking lots: First 15 minutes free on weekdays. Parking policies subject to change without notice. La mejor opción: Tome BART o una de las 12 líneas de autobús. El Fruitvale Village está cerrando secciones grandes de la plaza de estacionamiento, entonces muchas veces están llenos. Plaza de estacionamiento en el East 12th St y 35th Ave: 90 minutos de aparcamiento gratuito antes de las 5pm. Requiere pre-pago de $10, validación en nuestra oficina, y redencion antes de las 5 PM lo cual es el tiempo que el/la atendiente se retira del puesto donde le reembolsan su dinero. Gratis los fines de semana. Plaza de BART: Gratis los fines de semana y después de las 3pm cualquier dia. Fruitvale Village: Los primeros 15 minutos gratis de lunes a viernes. Reglas de estacionamiento pueden cambiarse sin aviso.